The City of Windermere Florida was established on May 5, 1915, when 110 acres of land situated between James Avenue on the north, Lamar Avenue to the south, Main Street to the west, and 5th Street to the east, were put on the auction block and incorporated under the council-manager form of government. The pristine and picturesque Butler Chain of Lakes surrounds the small and wealthy town of Windermere Florida and it provides the most perfect setting for one of Central Florida's most unique and elegant communities. Beautiful clear blue waters, gorgeous green landscapes and sculpted golf courses come together to create some of the finest and most scenic luxury real estate known to the region. Windermere Florida is populated by many beautiful lake front properties and is a beacon for all those who love and enjoy the finer things in life. Windermere is located only 14 miles southwest of Downtown Orlando and its location makes it possible for spending sunny days at the beaches on either side of the state. After enjoying the exciting world famous attractions and big city life one can return to the gorgeous gated community that provides serenity and shelter. Town officials went to great length to divert city traffic and halt any over-development making the Town of Windermere one of the most beautiful and exclusive sought after communities in all of the Orlando Metropolitan Area. Windermere is full of sprawling estates and gorgeous luxury homes and are available in a wide range of architecture styles, sure to please even the most finicky homeowners. Many of these Windermere homes are located on beautiful parcels of lake front property, offering its residents stunning lakefront views, magnificent sunsets, boating, skiing and plenty of good fishing. Windermere Florida has great schools, plenty of recreational diversions, panoramic vistas and many tourist attractions. These are just some of the reasons that residents lean towards this prestigious neighborhood and being in close proximity to Downtown Orlando doesn't hurt. This small community of Windermere offers something special for everyone and this is another reason that many people invest in this particular piece of real estate. Golfers love the communities of Windermere, Keene's Point and Isleworth as they allow them to experience and enjoy world class golf outings close to home. The census of 2013 states that there were 2,855 residents, 784 households and 591 families residing in the town of Windermere, Florida. The population density was 1,688.2 inhabitants per square mile. There are 723 housing units. 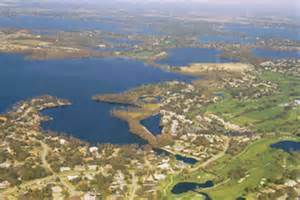 The racial makeup of Windermere was 95.68% white, 1.3% black, 0.05% Native Americans, 2.00% Asians, .32% from other races. Windermere, FL, receives 52 inches of rain per year. The US average rainfall is 37. Snowfall is 0 inches. The average US city gets 25 inches of snow per year. The number of days with any measurable precipitation is 98. Windermere Florida basks in the sunshine for as much as 239 days a year. 92 degrees is usually the high for the month of July, while January's low temperature is around 50 degrees. Comfort index which is gauged on humidity during the hot months is a 27 out of 100 where higher is more comfortable.